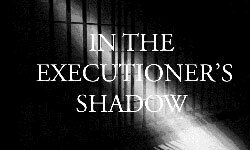 Monday 19 October 2015 Ohio is putting off executions until at least 2017 as the state struggles to obtain supplies of lethal injection drugs, delaying capital punishment for a full two years, the prisons department has announced. Ohio has run out of supplies of its previous drugs and has unsuccessfully sought new amounts, including so-far failed attempts to import chemicals from overseas. It is one of several states scrambling to obtain drugs for executions, since European pharmaceutical companies began blocking the use of their products in lethal injections. A U.S. judge on Tuesday barred U.S. authorities from importing an anesthesia drug used in carrying out death sentences because the Food and Drug Administration never approved the drug for use in the United States, and he ordered supplies be confiscated. A group of death row inmates had sued the FDA last year over improperly allowing shipments into the country of sodium thiopental, a sedative used as the first of three drugs administered in carrying out executions.